The Denness Luckhurst Foundation was established in 2014 by the children of Mike Denness and Brian Luckhurst to raise money for charities in their memories. We again supported the Lord’s Taverners and Mercy Ships by way of a charity golf day at Sundridge Park Golf Club, Bromley on the 10th September 2018. Over the last 4 events, we have raised nearly £60,000 to support our chosen charities. Our 2019 event will take place on Tuesday, 10th September, again at Sundridge Park Golf Club. We look forward to welcoming back our regular teams, as well as entertaining new guests at our charity day. Our fathers were extremely motivated individuals and great supporters of charitable causes. We wish to combine those attributes and in their names, raise valuable funding for two very worthy charities – Lord’s Taverners and Mercy Ships. 2014 saw us hold our first event, a charity golf day, and since then we have raised nearly £60,000 from our golf days for our chosen charities. 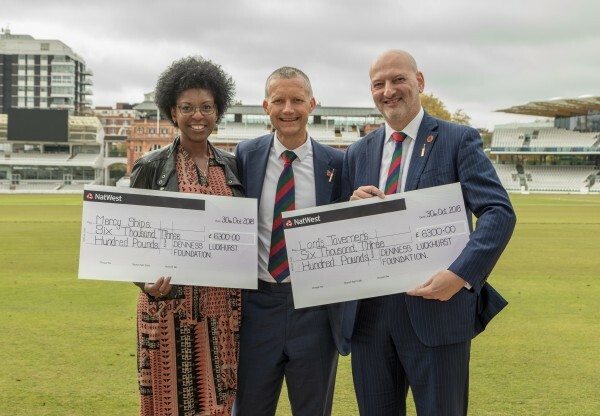 The cheque handover at Lord’s Cricket Ground for 2018’s event. Mike and Brian played a significant proportion of their cricket together at Kent, where they opened the batting and enjoyed significant success. The “glory years” of the 70’s saw Kent win 10 domestic trophies, dominating the new one day format of the game. 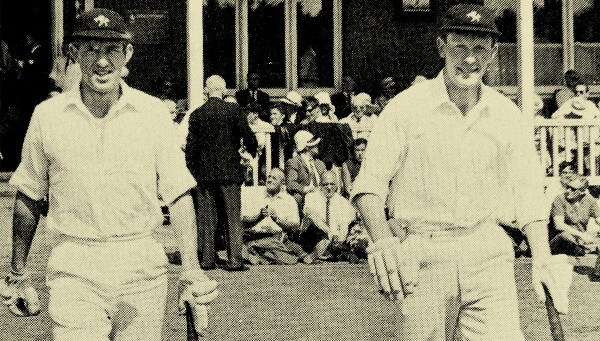 In 1972, Mike took over the captaincy from Colin Cowdrey. Their commitment to Kent Cricket was later recognised when both men fulfilled the role of President for the Club, Mike in 2012 and Brian in 2004. Perversely, they both died prior to concluding their year in office.